This unnamed creation by Tac is pretty spiffy. 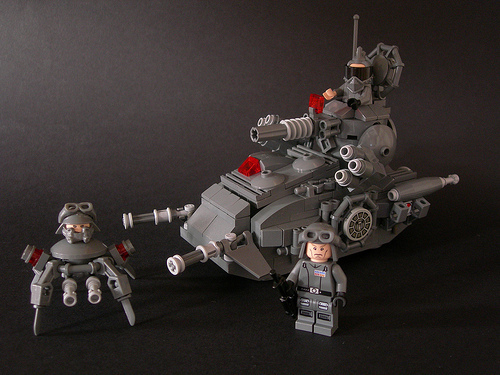 I love the tank, but that cyborg spider thing is the topping on the cake. Thanks to Chase for the tip! Wow, thanks so much for posting this!